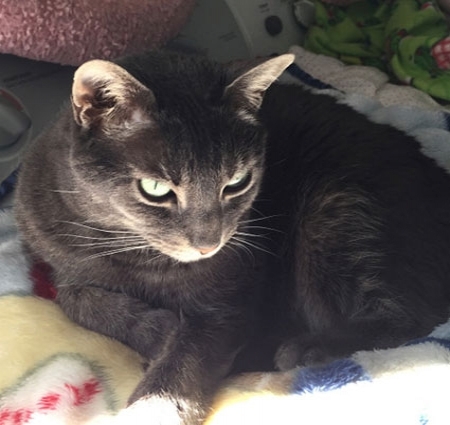 Molly was a very sweet and loving kitty who had trust issues when she came to us in 2015. In time, she learned that we would give her only love, affection and treats so she slowly, but surely began to trust us. She had a quiet little meow when she wanted to be let into the kitchen or for treats. All the cats loved her gentle disposition and groomed her regularly. Such a sweet girl and gone too soon.